Portugal, Spain, Southern France, Switzerland, South Africa and Greece are wonderful destinations for unforgettable weddings. With the collaboration of local wedding planners, our team will support you for all practices and for everything concerning the organization of the event starting from the research of the location and all suppliers ( florist, musician , photographer etc ) up to the accommodation ( transfer to the hotel , tour…) both for you and for your guests. A journey that will begin with your wedding and will end on your honeymoon. It could be an intimate wedding or with your guests but in any case, you will be assisted by our local contact person and if necessary also by the team of Future Emotion. 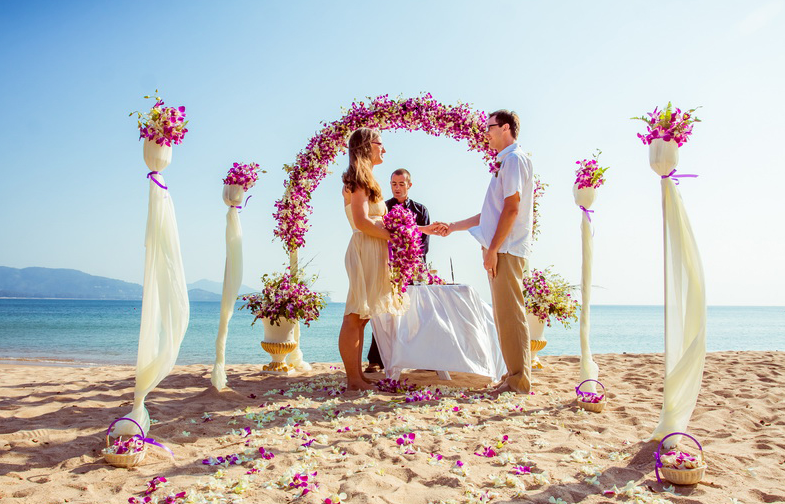 Future Emotion Agency can grant you excellent solutions at really good prices both for your intimate wedding and honeymoon abroad. Would you like an intimate wedding? You can do it, in some countries even witnesses are not required and when you come back to your country, you can celebrate your party with friends and relatives that could also be enriched with a symbolic celebration of your wedding. Where do we get married? Contact us and we’ll be pleased to propose you the best solution!